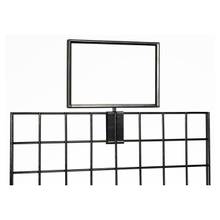 What would retailers do without gridwall accessories to display and promote merchandise? 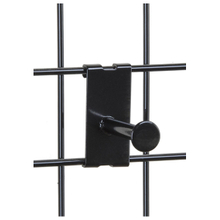 These versatile hooks and hangers are designed to showcase and organize displays in high traffic, high visibility areas. 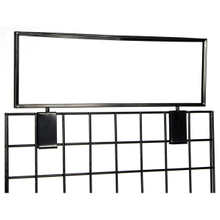 Commercial gridwall displays combine the strength of durable acrylic or steel wire construction with a lightweight open grid design that focuses customer attention on the merchandise and not the fixture. 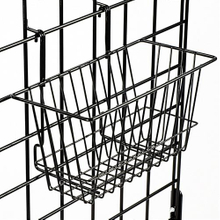 From basic hooks and baskets to specialty hangers and sign holders, this type of panel accessory allows in-store merchandising to be configured to exactly match inventory needs. 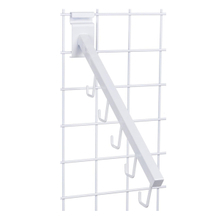 High visibility gridwall accessories, also known as wire grid display hangers, attach easily to grid panels, making them a perfect choice for use in exhibit or trade show booths as well as in retail environments. Highbright offers a wide selection of hooks and hangers that allow retailers to create organized, space saving merchandise displays that will attract customers. 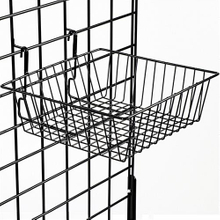 What types of wire grid display hangers are available? 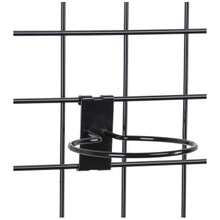 Gridwall accessories feature metal, wire and acrylic construction to accommodate a variety of merchandise sizes and weights. Faceouts are horizontal display hangers that can be made from either straight or tube-formate metal. 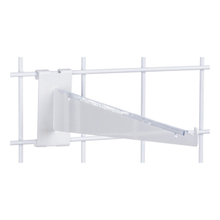 Waterfall Hangers are designed to create an angled display that separates each item for maximum visibility. 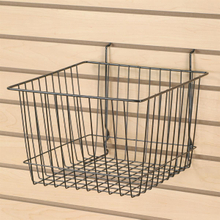 This type of retail fixture is ideal for clothing displays, and comes with either ball, slot or hook hangers. 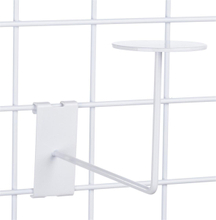 Peg Hooks take advantage of the strength of metal construction to create slender wire displays that can hold significant amounts of weight. 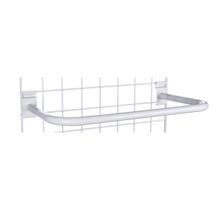 Available in a full range of lengths to accommodate different size merchandise, pegs are perfect for aisles and end caps as well as for POP displays. 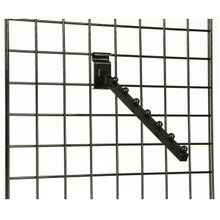 "C" Brackets, sometimes called "U" Brackets or Hangrails attach to wire retail fixtures at both ends, creating extraordinarily secure retail fixtures that can be set at any height on the panel. 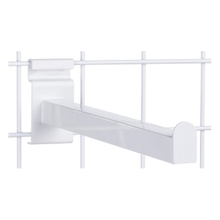 Grid-Mount Shelf Brackets & Shelving are available in metal or acrylic. 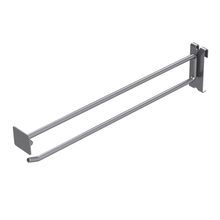 This type of specialty fixture is perfect for non-hanging items such as books and fragile merchandise. 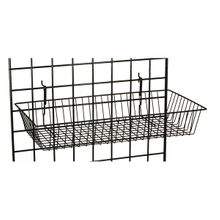 Specialty Hangrods & Displays are available that perfectly showcase particular items. 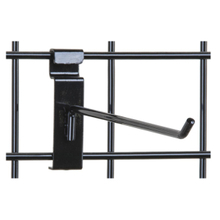 Picture hooks, garment pegs, hat racks and chip clips are all available to accommodate inventory and special sales. 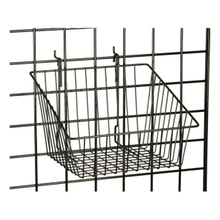 Wire Baskets bring the convenience of a dump bin with the ease of accessiblity and movement offered by wire grid retail fixtures. Sign Holders and Signs come in a full range of styles from slide in rack toppers to mid-panel write on displays.